How many servings are in a bottle of wine? While certainly a piece of trivia, this is great practical knowledge and vital to consider when preparing to host an event. A standard serving of wine is 5 ounces. A standard bottle of wine contains 750 ml. So, determining the number of servings per bottle requires calculating how many ounces are in 750 ml. 5 oz is approximately 150 ml, so 750 divided by 150 gives us about five servings of wine per bottle. While 5 oz is a standard pour, it’s common to pour just above or below that line depending on the alcohol content. Larger servings are common for lower alcohol wines like Moscatos and Rieslings. If you’re drinking a wine that’s 15% ABV or more, however, the serving should be below the standard pour line. Servings of port, which is typically 20% ABV, are usually 3 oz, for example. Of course, wine glasses hold a lot more than these recommended pours. Always avoid temptation to fill the glass right up to the top. Wine glass shapes and sizes are meant to enhance the drinking experience. How many bottles in a barrel of wine? The most common types are Bordeaux and Burgundy, which would yield 300 and 304 standard bottles of wine respectively. (Just for fun, that’s about 1,500 and 1,520 standard glasses of wine!) In the US, it’s legal for a single-adult household to produce 100 gallons of wine per year for personal use. Households with two or more adults can make 200 gallons. Wine is often touted as beneficial to your health, though be aware that a lot of the headlines oversell the studies. (A glass of red wine is not equivalent to an hour at the gym, for example, as much as I would like it to be true!) It’s true that wine has no cholesterol and no fat, but it is by no means calorie free. A glass of wine has between 110 and 300 calories per serving, depending on the style. 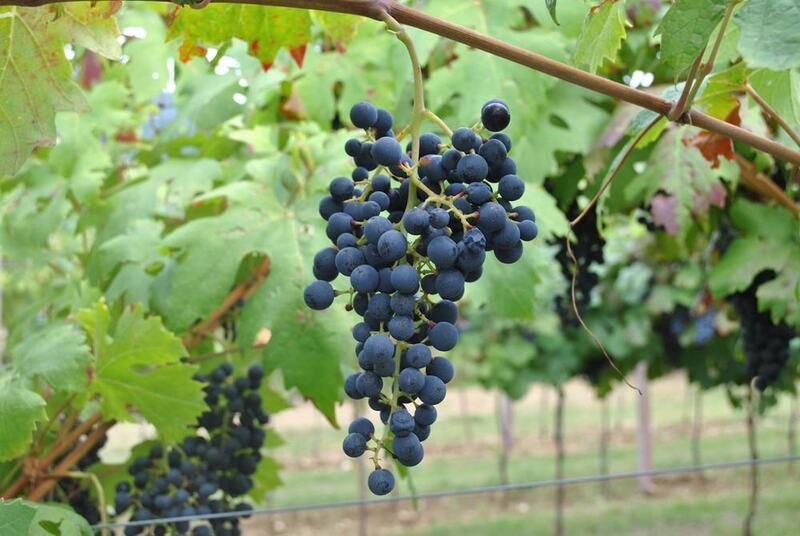 What are the top ten grape varieties in winemaking? What country produces the most wine? Italy produces more wine than any other country. According to data from the Wine Institute, Italy produced almost 5 million liters of wine in 2015, accounting for just over 17% of total wine created throughout the world. France and Spain followed close behind with the US in a distant fourth. An interesting point of trivia is that the state of California alone produces about 90% of US wines, which would put that state alone in fourth place on this list! Country that drinks the most wine? Vatican City may seem an unlikely candidate for this statistic, perhaps explained away by sacramental wine. Turns out this is not so, and the impressive number truly reflects the lifestyle and demographics of those living there. The US’s consumption per capita is significantly lower than the top countries. 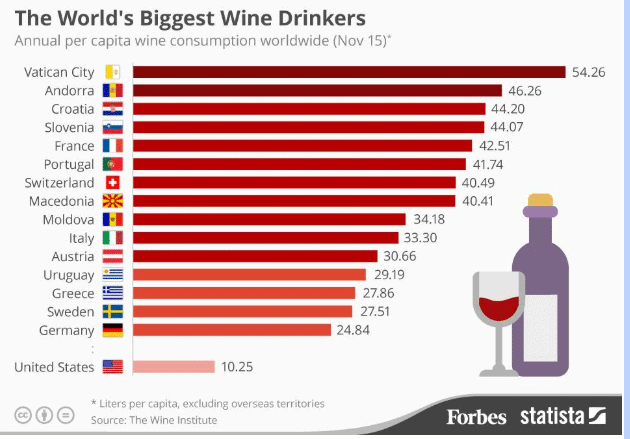 Despite this, the US tops the list of for overall wine consumption in the world. According to the Wine Institute, consumption has been steadily on the rise in recent decades, too. It’s not surprising, given how easy it is to get delicious, local wines these days. Although California produces the lion’s share of American wines, wine is produced in all fifty states.